It's been snowing a lot the last 2 days but there was a break this afternoon. 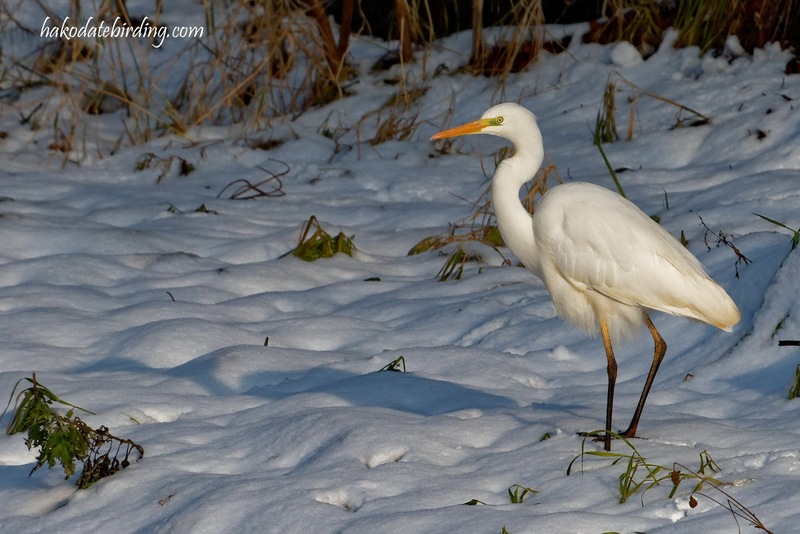 No car today so I took a short walk down the river where I saw the above Great Egret. Seems odd to see a Great Egret standing on snow. Does this species stay on Hokkaido all winter?